Birding Is Fun! 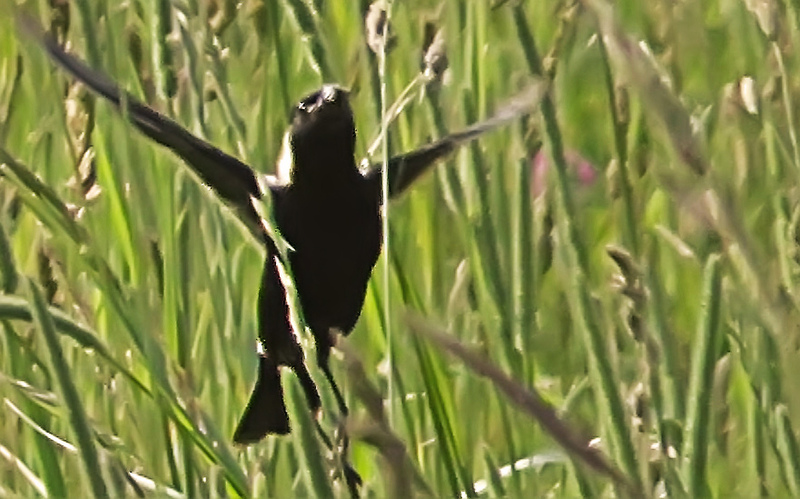 : Where are the Bobolinks? 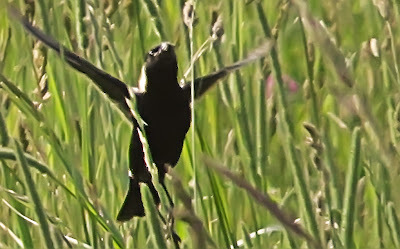 Bobolinks are iconic grassland birds of the northeast and center of the country. 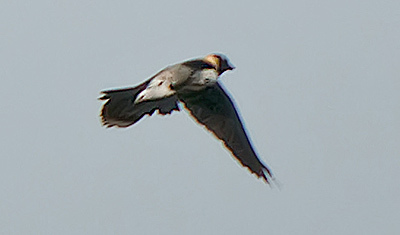 The males are easily recognized by their buffy napes, black front and on their backs white shoulder patches and white on their rumps. 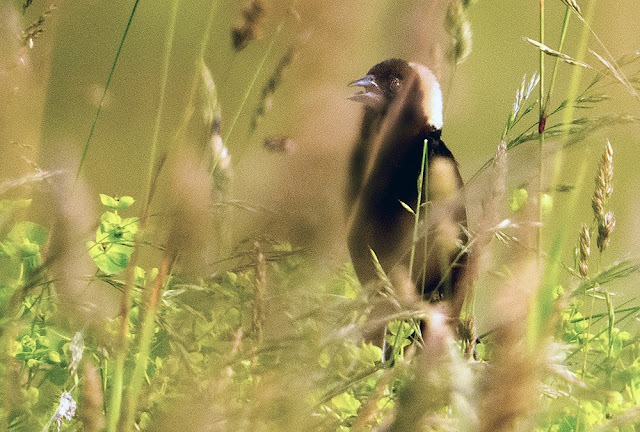 Many meadows may look empty at first glance but watchful waiting and listening is often rewarded. They are semi-colonial and need at least 20 acres for a breeding. They prefer wide open grasslands, old hayfields with a mix of grass and broad-leaved forbs. 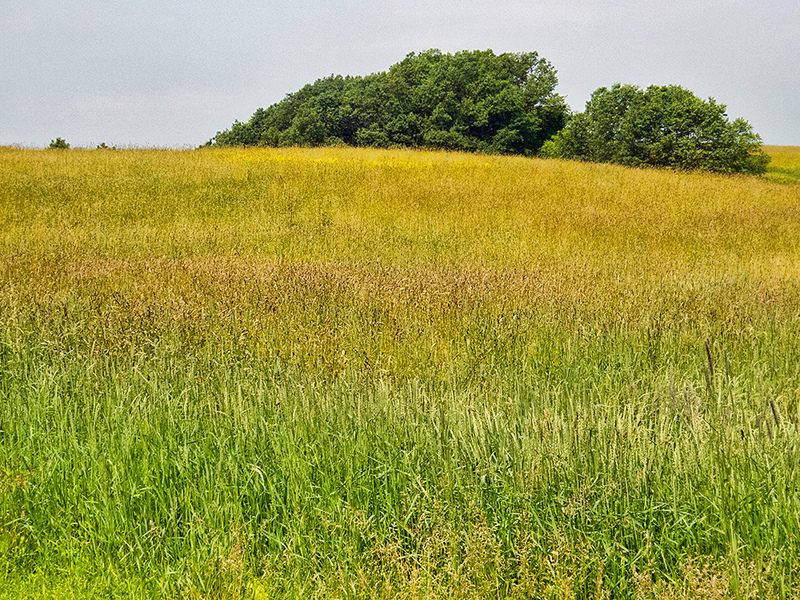 They tend to cluster in the middle of a field away from woody edges. 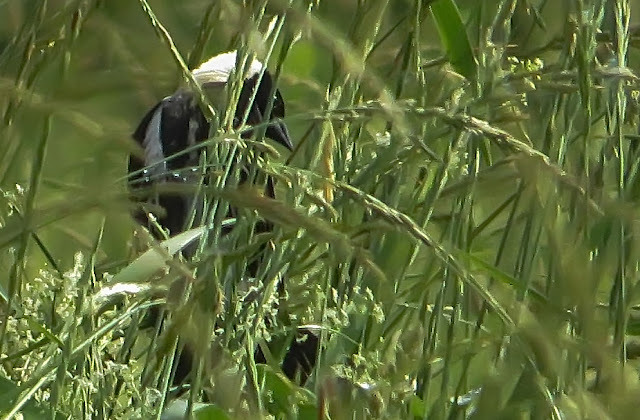 The female builds her nest on her own in a small hollow in the ground weaving old grass and fine sedge together into a thin cup at the foot of a broad-leaved plant which provides shade and leafy shelter. Both she and the male are polygamous Her hatchlings are often fathered by different males. 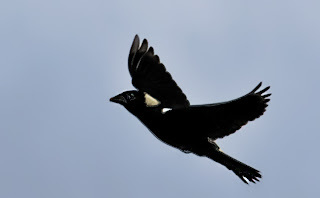 The males have a primary female who gets most of their attention, but they may also breed with, and provide for, other females. The males are generally not territorial, except during courtship, and often flock and sing together. 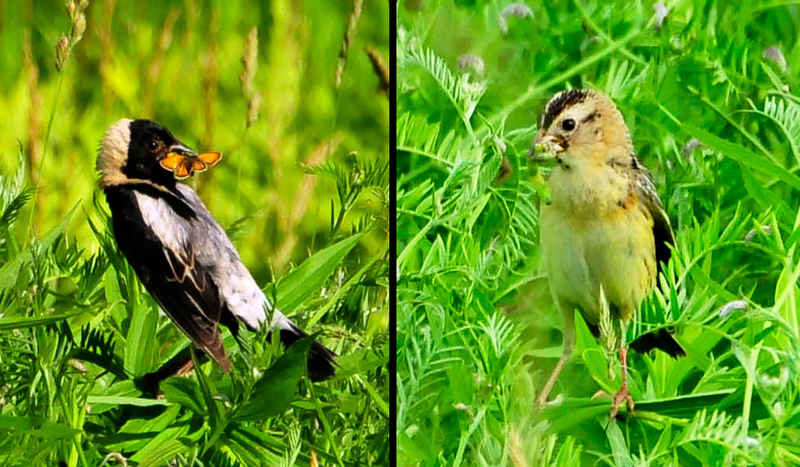 These were the only two Bobolinks I saw carrying food during several field trips this year. The relentless torrential rain this spring and early summer must have flooded many, if not most, nests and drowned eggs and nestlings. I haven't yet seen any juveniles. 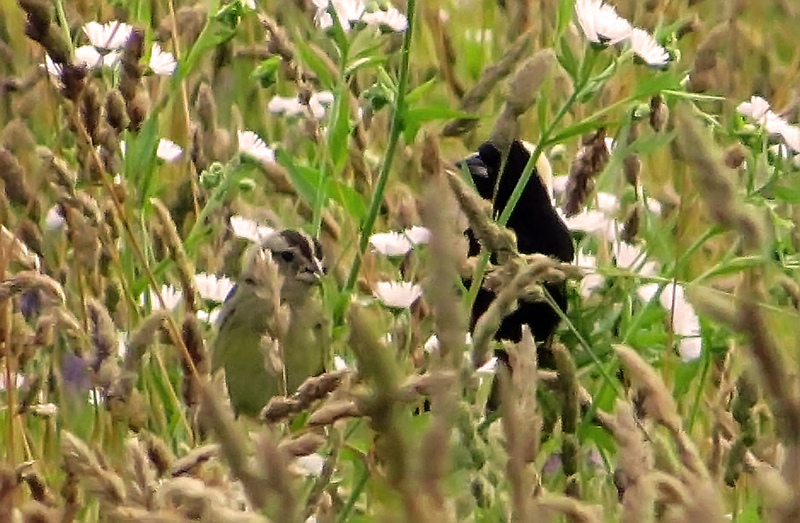 Unless they are successful in re-nesting before the meadows are mowed the outlook for any first-year nestlings returning next year is not good. 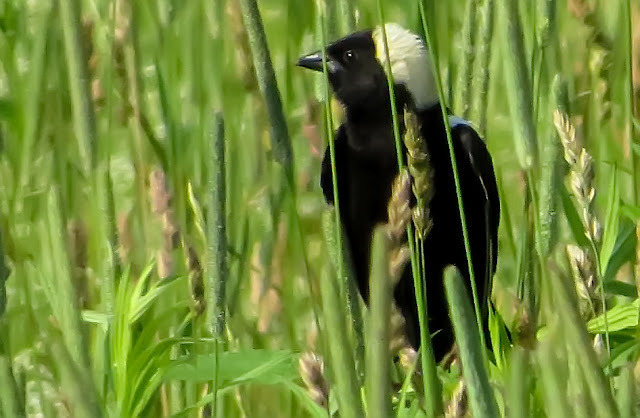 Unlike other songbirds many Bobolink yearlings return to the site where they were originally hatched according to banding studies done by Noah Perlut as recounted in this lively Burglinton FreePress article and video. 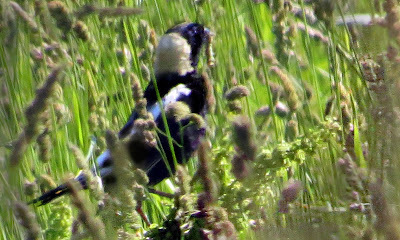 Below are a series of photos of male Bobolinks on their perches, blades of grass, on which they often do their singing and calling. Mid-season June mowing will destroy nests and nestlings. To give late nesters and re-nesters a chance mowing is best delay until August. Here's a link to NY Audubon management recommendations. By October most birds have left for their wintering ground south of the Equator, the Argentine pampas. 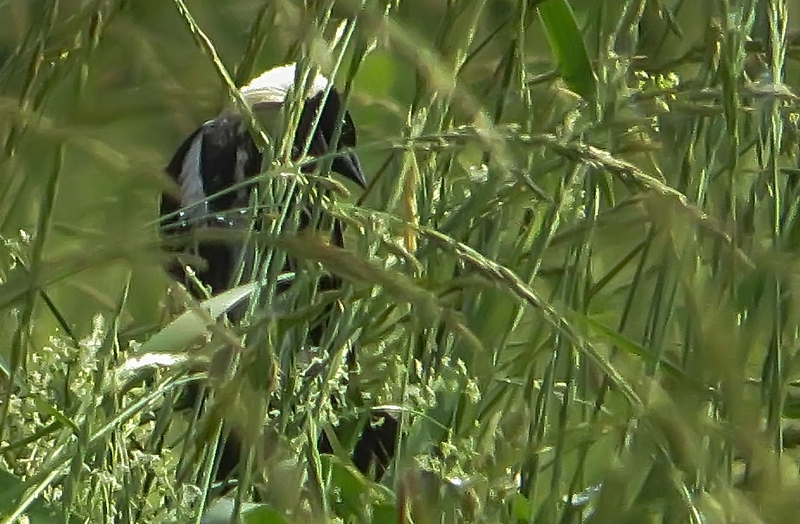 A couple of weeks ago I sent out an email on the VTBird listserve with title "Where are the Bobolinks?" because they seemed to be absent in the areas where I had seen them before in sizable numbers. 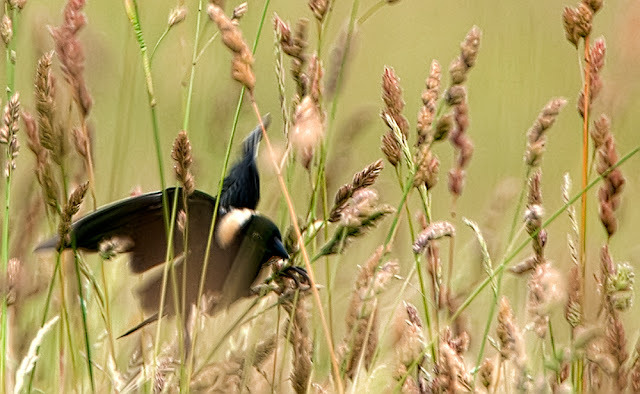 For example I took these shots of a feeding pair on a meadow just up from my house in 2008. but I haven't seen any on there for the last several years. 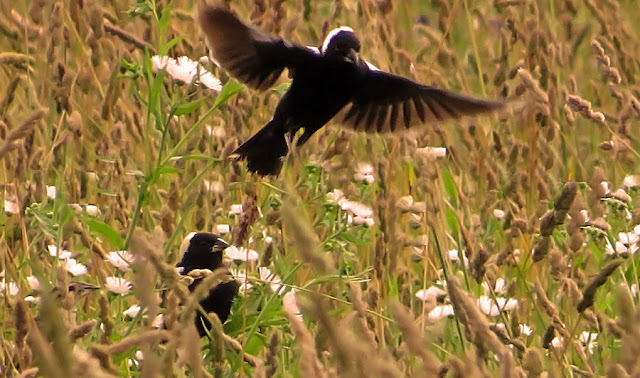 But judging by the response to my message Bobolinks are widespread and locally common most everywhere. However according to the Atlas of Breeding Birds in Vermont there has been a rather significant decline of one to two percent annually in Vermont and neighboring states. In some parts of the continent, especially in Ontario, CA, the decline has been dramatic: 88% since 1970 and it's continuing unabated. Studies by the Canadian Wildlife Service with help of researchers from the Vermont Center for Eco Studies are underway to figure out why this is happening. 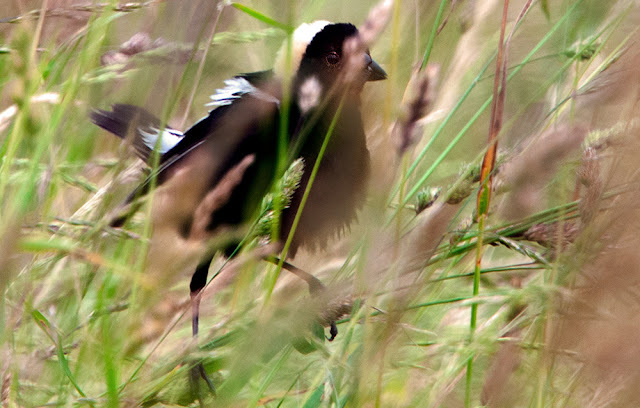 Bobolink survival is threatened on multiple fronts: habitat loss from development, conversion of hayfields to crop plants, nest destruction due to more frequent mowing, and reforestation. For anyone looking for more information there is an excellent NY Audubon Guidance for Conservation pamphlet with specific management recommendations. 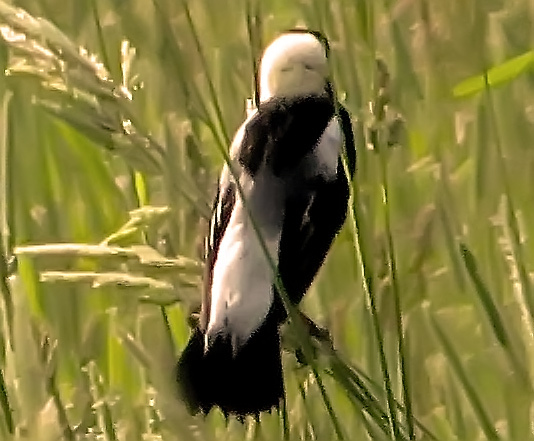 I would love to see a Bobolink. I keep missing them when they pass thru. It is sad their numbers are declining. Great post and photos, Hilke! Great post, Hilke. Emily's poem was a nice touch,too. Bobolinks are in decline in Ohio as well, as current farming practices are not favorable for them. 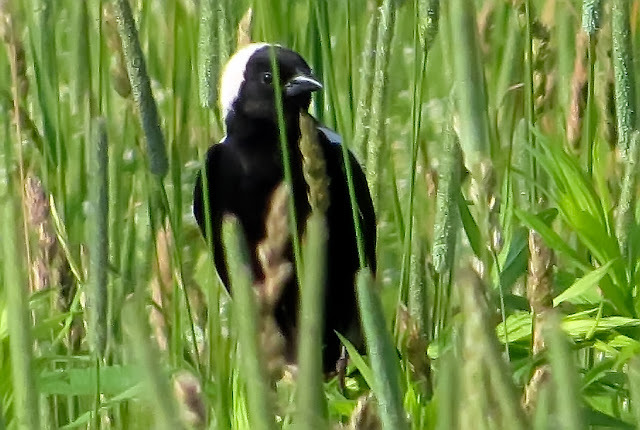 We hold a festival in Ashland, Ohio each year, aptly named: Bobolinks at Byers Woods. 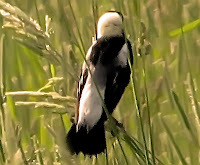 I would also love to see a Bobolink! They are so interesting looking! great post & photos, Hilke! We had some visit in Albuquerque this year. 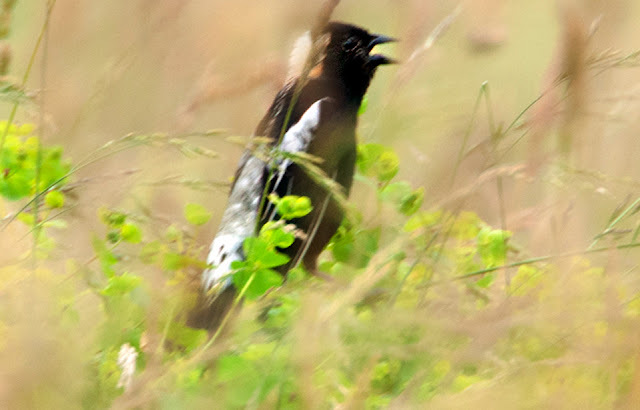 Very rare bird for us. Maybe they are all moving west? Super post Hilke. It's always disturbing to hear about the decline of any species. Informative post filled with wonderful photographs, Hilke! It's so very sad to read about the decline of Bobolinks. I do hope efforts can be taken to propagate the species. Fascinating species that I have yet to see. I hope we as a people around this planet can get our act together before a lot of it is too late. It's everywhere. As long as the human population increases, there will be little room for anything else. And there will be a fight for control of resources. Someone recently told me that things won't change until they're gone. I would hope this isn't true, but it seems that it takes a disaster to get people to react. And by that time, it's too late.